Brides have a lot of wedding planning responsibilities and the time passes by very quickly. 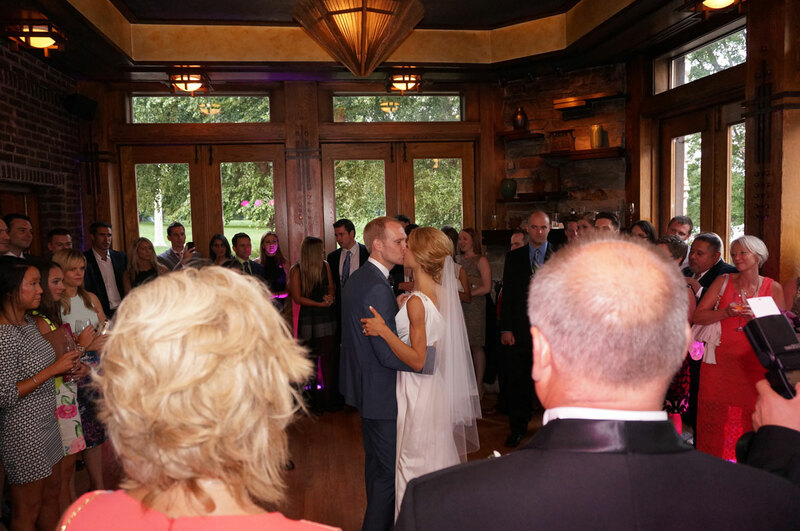 It’s easy to hire a DJ who has their favorite playlist in mind, but some wedding couples prefer to make their selection for their guests, their own best wedding playlist. How do you create the perfect mix of songs for every different age group and musical taste? 1. Step One: Choose the right song for your first dance. 2. Step Two: Pick a song for your bridal party. This is a chance to get ALL of your bridal party members and family members on the dance floor early. It’s a great time for your photographer to capture some great dance shots before everyone takes their jacket off and gets into it. During cocktails you can have upbeat songs for all ages and it’s a great time to hear some of your favorite artists that just aren’t that danceable. For Dinner, you might want to pick easier listening music. Vocal artists are great but BE CAREFUL with a lot of the older Frank Sinatra style songs as the volume tends to go up and down from very loud to very soft. R&B is a good choice combined with some of your radio favorites that have a little less tempo. Remember, during dinner you are going to go from lots of conversation before the food is served to very little conversation when the entrée is served. Cocktail and dinner music play such an important role in the success of a wedding reception. It’s a chance for the DJ to build trust with your guests and establish the vibe that will encourage your guests to stay and party. If you see a DJ playing a pre prepared playlist or sitting down to eat at a wedding, your event is in trouble! A good DJ is going to pick each song based on the mood of the room. When it comes to dancing, make sure the music is just that, danceable! Nobody is going to dance to the Beach Boys! :) If you’re playing newer music, choose artists like Justin Timberlake, Katy Perry, Calvin Harris and Bruno Mars. If you are looking for great songs from the 90’s go for House Of Pain, Sir-Mix-A Lot or Montell Jordan. While some of these may sound like they’re a little to pop oriented remember the reason why they were hits… cause everybody liked them! Now go in and pick some different genres and make sure early on that no one is left out. Think about playing some of the older music a little earlier in the night so that your parents’ friends can join in the fun and save some of the latest party records for the last hour after your guests have loosened up a little. Even if you have the best wedding playlist, that’s only part of the equation. 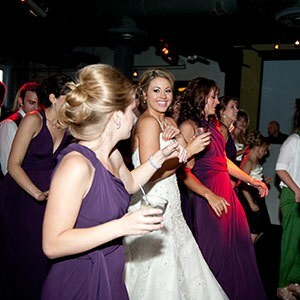 A great DJ will know how to work with your playlist and keep your guests dancing the night away. 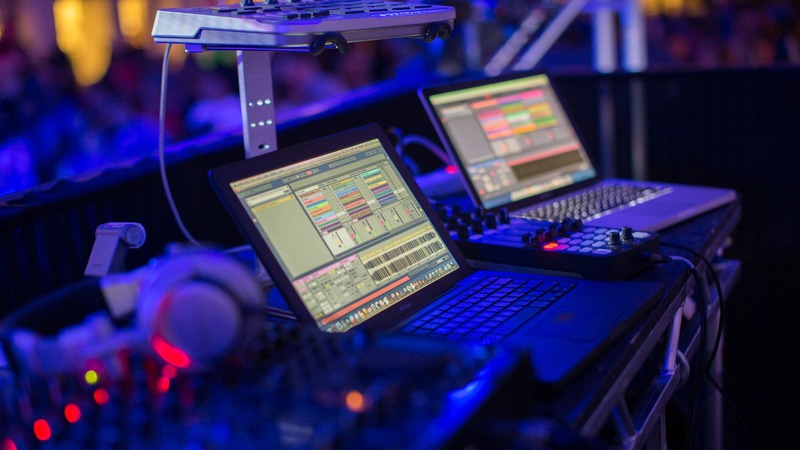 Your DJ should ALWAYS BE AWARE of the volume changes so he/she can make adjustments. Are you currently looking for a Chicago DJ for your wedding or partnership and celebration event? Hot Mix would love to be there with you on your special day. Take a look at what we offer here.